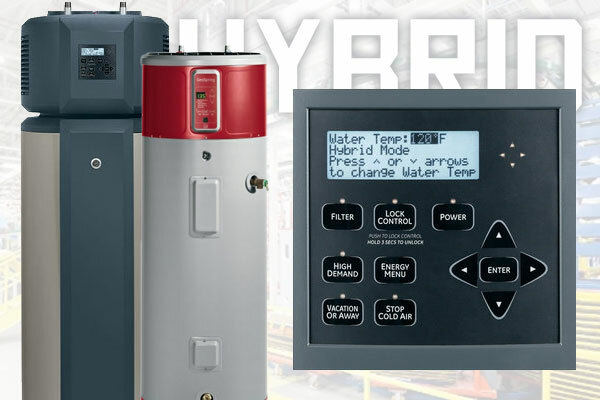 Currently viewing the category: "General Electric (GE)"
GE calls their GeoSpring water heater a “hybrid,” which in this case means that it heats water through a mix of old and new methods. The new part consists of a heat pump — the same kind of technology you’ve seen in HVAC units for years. An evaporator pulls heat from the ambient air, transferring it to the water within. But when your use demands water too hot for the heat pump (or, more likely, too much water for it to heat effectively in time), a classic electrical element kicks on, topping off the temperature quickly.